Continuing his years-long work of advancing jobs for Virginians, Lieutenant Governor Bill Bolling has been appointed by Governor Bob McDonnell as the chairman of the newly created Rural Jobs Council. The Governor's announcement noted that the Council will build upon the success of the Governor's Commission on Job Creation and Economic Development, and continue the Administration's focus on Virginia's rural communities. Lieutenant Governor Bolling commented on the appointment, noting, "I am honored to serve as Chair of the Governor's Rural Jobs Council. For the past three years, Governor McDonnell and I have shown our commitment to economic development, especially in rural Virginia, and this Council will continue that focus. This group will give Virginia the chance to expand Governor McDonnell's recent initiatives in the areas of entrepreneurship and education reform to ensure that all Virginians have the same opportunities, no matter their zip code." 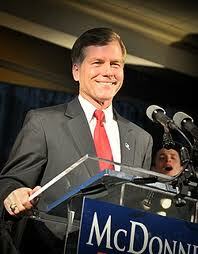 On Wednesday, January 2, 2013, Governor McDonnell issued Executive Order 57 establishing the Rural Jobs Council. He has named Lieutenant Governor Bolling, Virginia's Chief Jobs Creation Officer, as Chair of the Council. Secretary of Commerce and Trade Jim Cheng and Secretary of Agriculture and Forestry Todd Haymore will serve as Co-Vice Chairs for the group. Speaking about today's announcement, Governor McDonnell said, "I am pleased to announce that these community and industry leaders have agreed to serve Virginia on this newly created Rural Jobs Council. Virginia's rural communities are the heart and soul of our Commonwealth and we must do everything we can to bring jobs and opportunity to these regions. I am confident this group will develop thoughtful recommendations and a solid infrastructure plan for rural Virginia." Secretary of Agriculture and Forestry Todd Haymore said, "I am pleased to see Governor McDonnell continue his support of rural Virginia, especially through his continued commitment in making agriculture and forestry key components of his economic development and jobs creation strategies. Agriculture and forestry have an economic impact in Virginia of $79 billion annually and support over 500,000 jobs in the Commonwealth. It is important that we continue to support these industries and our rural communities. I look forward to working with the Council on important rural development issues." Secretary of Commerce and Trade Jim Cheng commented, "We have seen much success in Virginia, lowering our overall unemployment rate to 5.5%, well below the region and the national average, but we still have a long way to go. Too many areas of the Commonwealth still have stubbornly high unemployment rates. This council will be tasked with building upon the success of the last three years and identifying ways to continue to bring economic growth to all of Virginia's regions." · Delegate Onzlee Ware, Roanoke. · Make recommendations to improve the tax and regulatory environment in the Commonwealth. Delegate Rob Bell's "Tebow Bill" allowing homeschooled students to play public school sports has passed the House of Delegates by a vote of 56-43. It now goes to the State Senate where it has been defeated in the past. The bill would expand options for homeschool students by allowing them to participate in sports and extracurricular activities at their local high schools, much as the homeschooled Tebow was allowed to play football with his local public high school team in Florida. For some, it's a way to participate in team sports that may not be available through their homeschool association. For others, it may be a means to earn a college sports scholarship to help pay for higher education. Twenty-nine states already allow homeschoolers to play high school sports. In Virginia, that option is not available and, while some homeschool families are not interested in public school access, the Tebow Bill would provide a choice for families who are interested. The Virginia High School League, the Virginia Education Association, the Virginia PTA, and the Virginia School Boards Association have spoken against the bill. Read more from Delegate Bell about the pros of this bill. Delegate Rob Bell (R-58th House) is the patron of the Tebow Bill. He was the recipient of Home Educators Association of Virginia's 2006 award for "Outstanding Leadership in Advancing the Rights of Home-Educating Parents." He was an Honors Graduate from the University of Virginia and UVA Law School. A candidate for Virginia Attorney General in 2013, Delegate Bell lives in Albemarle County with his wife and two young children. Smithfield Foods has endorsed “Virginia’s Road to the Future”, the comprehensive, long-term transportation funding plan proposed by Governor Bob McDonnell. Smithfield Foods employs approximately 4,000 citizens statewide and is the world’s largest pork processor and hog producer, processing 27 million hogs and raising 14 million annually. “Since 1936, the town of Smithfield, Virginia, and Smithfield Foods, has been shipping the finest hams to satisfied customers across the country. This has been made possible due to Virginia’s strong business environment and able workforce. Smithfield has deep roots in the Commonwealth and is heavily reliant on its infrastructure. “We rely on Virginia’s highways to move our products to market throughout Virginia and beyond. Without a properly maintained highway system, as well as the dollars for new construction to ease congestion, our business is at a disadvantage to move our products in a timely, reliable and predictable manner. “Governor McDonnell’s 2013 Transportation Funding and Reform Package is intended to solve the short and long-term transportation funding needs of the Commonwealth of Virginia. Declining funds for infrastructure investment, stagnant motor fuels tax revenues, increased demand for transit and passenger rail, and the growing cost of major infrastructure projects necessitate enhancing and restructuring the Commonwealth’s transportation program and the way it is funded. The challenge Virginia faces is a math problem. Governor McDonnell’s plan will provide more than $3.1 billion in transportation funding for the Commonwealth over the next 5 years, including $1.8 billion for new construction. It will end the state’s crossover issue, in which money meant for construction is currently diverted to simple maintenance. The plan ties future transportation funding to economic growth and makes Virginia the first state in the nation to eliminate its gas tax, a rapidly declining revenue source. The full plan is availablehere. If the Virginia Lieutenant Governor's race was a horse race, some of the seven candidates are beginning to pull ahead including Pete Snyder who has been building up endorsements and attending events around the Commonwealth. "Pete Snyder is the young, energetic, conservative leader Virginia needs to shake up politics as usual in Richmond. Between his success as a private-sector job-creator, his 20-year service to conservative causes, and his bold, energetic campaign, I'm proud to support Pete as our next Lieutenant Governor, and I look forward to helping him every way I can." "As a fellow young-gun conservative who is ready to bring real results to Virginia, I'm so thankful for Mayor McCleary's support. Jeremy understands the need to change the way things are done in Richmond, and his support for our big ideas and bold solutions is a huge benefit in the Shenandoah Valley and throughout Virginia." The Lieutenant Governor nominee will be decided at the Republican Party of Virginia convention in Richmond on Saturday, May 18, 2013. To be a delegate, registered voters must attend their local unit's mass meeting. For more information about that, go to the Republican Party of Virginia website. Pete Snyder is the founder and former CEO of New Media Strategies (NMS) and a graduate of the College of William and Mary where he now serves on the Board of Visitors. RICHMOND- Del. R. Steven Landes, R-Weyers Cave, Vice Chairman of the House Education Committee, has advanced his House Bill 2144, addressing a waiver for the Standards of Learning (SOL) Assessment in certain cases, has now passed the House of Delegates on a vote of 97-1. House Bill 1955, addressing the impersonation of a law enforcement officer, is progressing through the committee progress. House Bill 2144: Allows a public elementary school that is either accredited with warning based on the adjusted pass rates on the third grade Standards of Learning reading assessment administered during the previous school year or had an adjusted pass rate of less than 75 percent on the third grade Standards of Learning reading assessment administered during the previous school year to apply to the Board of Education for a two-year waiver from the science or history and social science Standards of Learning assessment requirement for students. Elementary schools that apply for a two-year waiver must satisfy certain conditions to be granted the waiver for this pilot program. The bill will expire on July 1, 2015. House Bill 1955: Provides that any unauthorized person who wears a uniform identical to or substantially similar to a standard uniform used by an office of sheriff to impersonate the office of sheriff is guilty of a Class 1 misdemeanor (currently a Class 3 misdemeanor). The bill adds new punishment for a second or subsequent such offense: a Class 6 felony. The bill also adds the same new punishment for a second or subsequent offense of impersonating a law-enforcement officer or other public safety personnel, currently a Class 1 misdemeanor for any such offense. Landes represents the 25th House District, which includes parts of Albemarle, Augusta, and Rockingham Counties. Landes was first elected in 1995 and is now serving his ninth term. Yesterday House Bill 1442 (the "Tebow Bill") passed out of the House Education Committee by a 13-8 vote! The committee heard testimony from homeschoolers Micah Fitz (pictured) and Joshua Henderson. Click here to see an article featured in the Richmond Times-Dispatch about the hearing. The "Tebow Bill" will be going before the entire House of Delegates for a vote. Supporters can contact their representatives directly, here. If the bill passes, as it did last year, it will then be transmitted to the Senate and will go back a committee. We'll keep you posted as this proceeds. If you have any questions, please don't hesitate to ask. Thanks again for your help! 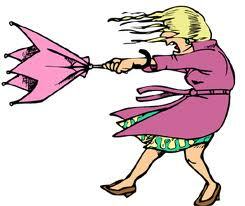 Augusta County is under a Flash Food Warning and Wind Advisory from the National Weather Service. With driving, horizontal rain and blustery winds -- and the temperature in the low 60s -- be safe out there. Our service men and women do so much to protect our freedoms and liberties, and to keep us safe in the War on Terrorism. A friend and her husband put their money where their mouths are and thank U.S. soldiers in a tangible way whenever they can. 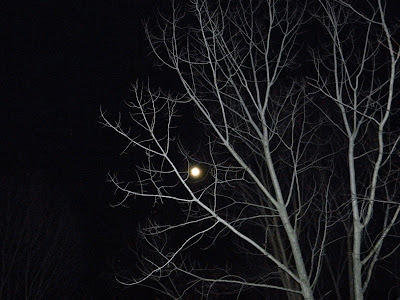 Here she shares one of those times and, though she wishes to remain anonymous, she's a die-hard American patriot in the Shenandoah Valley who could be anyone, anywhere. The best moments I ever experience is when I can pay for a soldier's meal anonymously. My husband and I have been blessed with a very good life in, and for, this beloved country of ours. So that is a way we can give back just a tiny bit. Not long ago I was sitting in Cracker Barrel and a single member of the military entered and was seated not too far from me. He was in camos and I worried that he was being deployed, probably, I thought, to Fort Bragg and then off to Iraq. So I asked my server to give me his bill, not to tell him anything more than that a grateful conservative Republican woman thanked him for protecting her and her family. So I paid the bills and left. Before I could leave the parking lot here he came, running, and he caught up with me. I was not happy with the server because she was not supposed to have told him who I was, I wanted no thanks, I wanted to thank him. In any case he found me and just insisted that I come in and sit with him a bit. Which I did. He was not being deployed ... he had just recently returned home. He was on his way to Fort Bragg and was going to be helping other military personnel deploy. He was so sweet, decent, and appreciative of that inexpensive meal and he gave me his email address. All of a sudden he had someone that he knew appreciated his work as he was planning to stay in the service which he had joined right after 9/11. He told me what his job had been while overseas. He talked about those who were left behind. He talked about those who left arms and legs behind and were now trying to learn to live without them. It was a remarkable half-hour and I was so honored to sit there with him and hear his story. All for a few dollars ... and a quiet personal vow to fight all the people, foreign and domestic, who want to destroy this country and to help the wonderful young service men and women who give so much and expect so little from us in that fight. What a special gift he gave me and continues to give our country. This friend constantly reminds me of small blessings that rain down from heaven. I believe she was a blessing to that young soldier that day ... and he was a blessing to her. CHICK-FIL-A of Waynesboro will host Spirit Day on Wednesday, January 30, in honor of Augusta County Deputy Joseph Sholes who was seriously injured in a car accident while on duty. 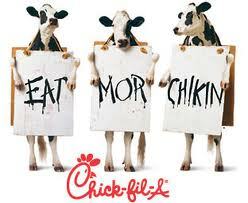 Chick-fil-A of Waynesboro will donate 20% of all sales mentioning Deputy Shoals. Deputy Sholes faces more surgery and months of rehab after crashing into a tree while answering a call, breaking both legs and shattering an ankle. The community is pulling together with fund raisers to help his family. NBC-29 has more info about the crash and Deputy Sholes' injuries. As the sun rose behind the Blue Ridge Mountains, the full January moon was about to set behind the Appalachians. '60 Minutes' softball interview with Obama, Clinton: What if it had been George W. Bush? Hypocrisy in the mainstream media continues, and the "60 Minutes" interview Sunday with Democratic President Barack Obama and his Secretary of State Hillary Clinton was a blatant confirmation of that. "Soft ball" doesn't even begin to describe that interview conducted by Steve Kroft who basically said he was not going to "play gotcha" and at one point noted he would spare the two former presidential candidate opponents some of the harsh things they said about one another during the 2008 campaign. "Please do," said Clinton. Brit Hume, the wise sage at Fox News, had a good commentary Monday night pointing out the hypocrisy. Twitchy called it a "drooling lovefest." Reporter and conservative commentator Ben Shapiro wondered out loud if it was "60 Minutes" or "60 Shades of Grey." “[The] media subsists on lies that they keep telling themselves. Some examples: Polar bears are dying. fracking poisons water, Hillary is a great secretary of state. About that one — I don’t know, did she do a great job with Iran three years ago when people died in the streets pleading for help? Do you think Benghazi was anomaly? What about Russia, Egypt, or Syria? Well, at least our relationship with Mars is stable and there has been no invasion from Middle Earth yet. So yeah, Hill is doing great, hence the love fest with Obama on ‘60 Minutes’ last night." “Seriously, I thought I was watching the ‘Bachelor’ finale, waiting for Steve Kroft to whisper, ‘When did you first decide she was the one?’ ” Gutfeld said. Judged journalistically, Kroft's interview was an embarrassing failure. It neither uncovered important new information nor added to the public understanding. Conservatives began raising questions after hearing the fluff questions compared to media interviews with Republicans including President George W. Bush who was excoriated over and over by the left-leaning mainstream media. I searched without success for a Kroft interview with George W. Bush as a point of comparison. "When was it that you first found out or it dawned on you that, indeed,there were no weapons of mass destruction? And I wonder, did you think, 'What have I done?'" "The vice-president suggested there was a connection, not necessarily 9/11, but certainly to al-Qaeda." A stunning contrast, isn't it? I won't speculate about personal ideological bias. It's possible that Pelley is just a much better journalist than Kroft. I will say that there is a glaring double standard in the coverage that 60 Minutes has afforded the two presidents, and that the tough coverage of President Bush was entirely appropriate. In fairness to 60 Minutes, they are hardly alone in giving Obama a pass even on issues that would've gotten George W. Bush excoriated. Due to [Kroft's] shameful willingness to conduct fluff interviews, journalists who'd ask Obama tougher questions never get the chance, and the public is less informed than it would otherwise be. There was a day when the mainstream media were the only outlets available for news and information. When Fox News and conservative talk radio came along, they provided another perspective so viewers and listeners could make up their own minds. The "60 Minutes" interview and constant complaints from Obama about Fox are yet more reminders of why it is very important to have coverage from both sides of the aisle. 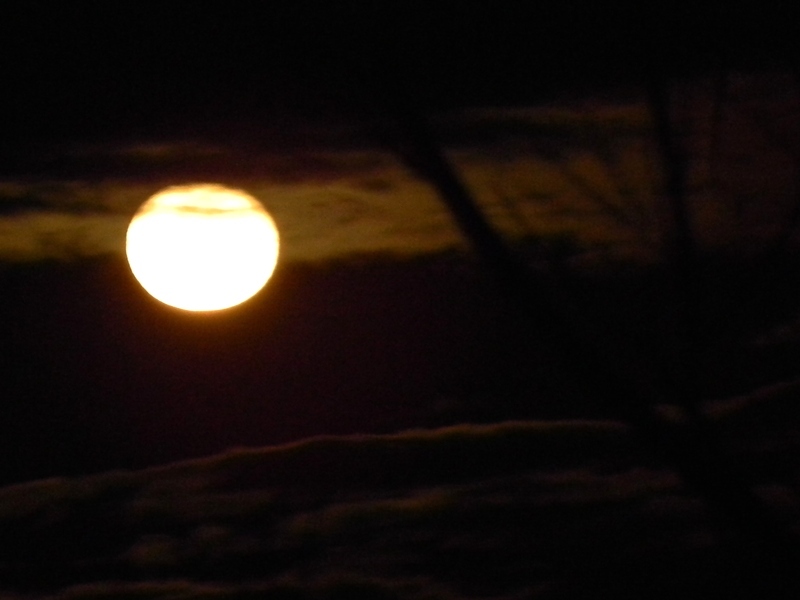 Sunday's full moon over the Shenandoah Valley. 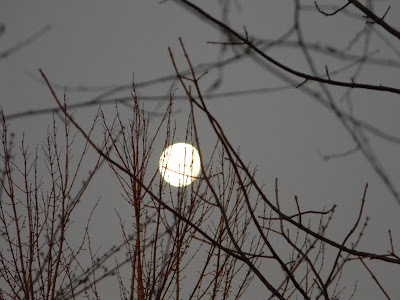 January is the month of the Full Wolf Moon which, according to Native American legend, appeared when wolves howled in hunger outside the villages during the time of snow and cold. 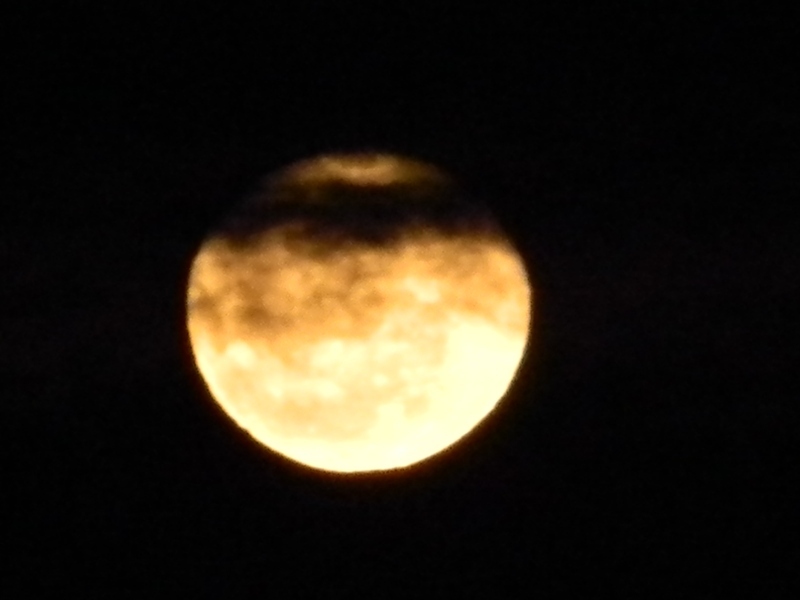 It is also known as the Old Moon. 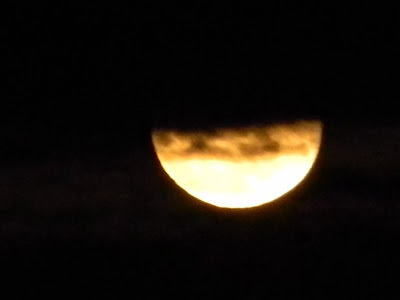 To some tribes, this was the Snow Moon, but most applied that name to the next full Moon, in February. Both HB 1642 and SB 908 will establish parental rights as fundamental rights in Virginia. These bills will clarify existing law, allowing government to infringe on parental rights only if there is a strong compelling reason to do so and there is no other way to accomplish the government's high priority. It will protect against the possibility of a judge deciding that your rights are merely "ordinary" rights. HB 1642, the House version of parental rights legislation, will be heard in House Room D, Monday afternoon, 30 minutes after the General Assembly adjourns. These committee members also need to know you support parental rights. Please come to the hearing Monday afternoon or call to make your support known. Early Thursday morning (January 24), HEAV representatives attended sports access hearings for HB 1442 in the House and SB 812 in the Senate. Lobbyist Bob Shanks and legislative director Yvonne Bunn carefully listed to testimony about interscholastic activities for homeschooled students. HB 1442 (patroned by Delegate Rob Bell, R-Charlottesville) was amended to include a sunset clause, which requires that the bill be acted upon again after five years. The amended bill passed the House subcommittee by a vote of 7-Y 1-N, and will now be heard before the full House Education Committee on Monday, January 28, at 8:30 a.m. in House Room C in the General Assembly Building. SB 812 (patroned by Senator Thomas Garrette, R-Lynchburg) is expected to be heard next Thursday, January 31, at 8 a.m. in the full Senate Education and Health Committee located in Senate Room B in the General Assembly Building. Originally scheduled last week, the bill was passed by for the day at Senator Garrette's request in order to gather more support for the bill. If you support access to interscholastic activities for homeschoolers, plan to attend these meetings to show your support either by your presence or testimony. If you would like to make a brief statement before the committee, contact Delegate Bell or Senator Garrette for more information. Icicles this morning on my deck railing. It's an icy winter morning in my corner of Augusta County with surfaces covered from freezing rain that began sometime in the wee hour of the morning and continued through commute time. 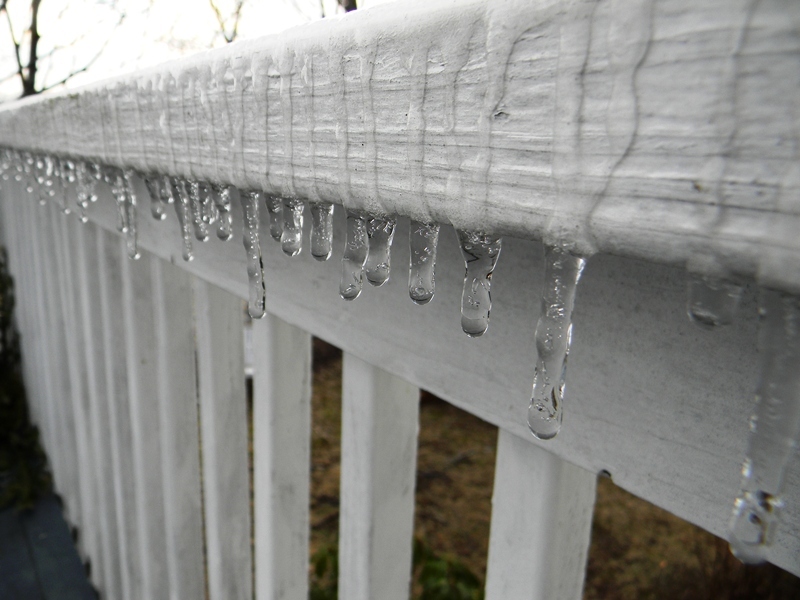 Surfaces are coated with a thin layer of ice making it difficult to walk on sidewalks and decks. Delicate icicles hang from railings and fences as the wind blows, causing tree limbs to creak in their icy cocoons. Most school systems are on two-hour delays as the temperature hovers around the freezing mark. Bath and Highland have decided to stay closed for the day. Has it really been 27 years since the Challenger shuttle exploded in mid-air? Seven lives were lost, the tragedy was caught live on TV, and Americans were shocked at the disaster that had taken place in front of their eyes. TV cameras scanned the spectator stands at Cape Kennedy where family and friends of the astronauts watched, full of excitement in anticipation of the launch that included Christa McAuliffe who was there as part of the Teacher in Space project. Millions of children across the nation sat in classrooms watching and waiting for the launch with expectations of experiments and lessons taking place during the journey from the teacher in space. Twenty-seven years later, many still remember the day we lost Challenger. The young school children who watched in classrooms are now in their 30s. Others, like my children, were too young or were not born at the time. 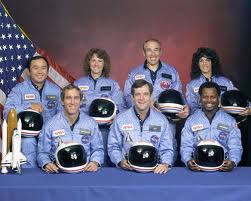 Challenger, however, is a chapter in our history that will not be forgotten, a reminder of the loss of seven space pioneers who helped pave the way for those who followed. Winter Weather Advisory tomorrow morning from 3:00 AM to 10:00 AM for Augusta, Highland, Page, Shenandoah, Pendleton, Rockingham, Grant & Hardy Counties. Freezing rain and snow will cause travel difficulties for entire viewing area. RICHMOND –Governor Bob McDonnell issued the following statement today regarding the passing of Senior Justice Harry Lee Carrico, former Chief Justice of the Supreme Court of Virginia. The Governor has ordered that the Virginia flag be flown at half-staff on all local, state, and federal buildings and grounds in Virginia until his burial. As I read Ralph Waldo Emerson's quote this morning, my mind drifted back to the 16 years we educated our children at home. Talk about going where there is no path and leaving a trail! A tip of my hat to those homeschool pioneers who were there years before I joined up in 1990. I read books about their battles with school and state officials in various locations across the country, and was grateful for the tenaciousness and willingness of those faithful parents to basically lay it all on the line, plowing that path for those of us who followed. In Virginia, Delegate Rob Bell's parents were pioneers in that movement, and local homeschool friends whose kids are now grown had been involved in the South Carolina movement. By 1990, when we took the plunge, laws had been written and there were enough families involved that they had begun forming local groups and state organizations. We were fortunate to find a homeschool support group when we decided to jump from public school into homeschooling. Before making a decision, I researched. There was a homeschool section of our local library with a number of books that had been donated by the local homeschool group which was how we found them. I wrote to publishers for information -- that was before the internet opened the world on a desk top -- and read books about other families and their struggles, and called the president of the local group. I researched curricula and laws and everything I could think of that would help if we were to make this life-altering decision. In the end, we pulled our son out two months into second grade. 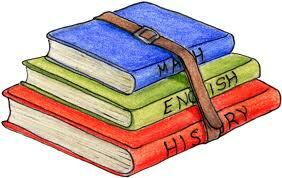 The Calvert curriculum I had chosen used the same reading and math books that he had in class. First of all, thank you to all the hard-working teachers out there who pour their souls into education. They have a love of children and teaching that makes them special and loved in the eyes of not only their students but the parents. The energy, hours, and financial sacrifices they expend often go unnoticed. Let me back up a bit. When our son entered kindergarten, I became a room mother who helped with field trips, holiday parties, and reading. A small table and two chairs were set up in the hallway outside the classroom, and I would listen and help students who were having difficulty with their reading. We're talking books with one word per page and, though the kids had been instructed to take their books home and read them ten times to their parents, it was easy to tell who had not done so. For my son, kindergarten was a great experience and so we moved on. In first grade, I was again the room mom who traveled with the kids on field trips (by this time they were jokingly calling me "mom") and sitting in the hall listening as students read. I found scrap materials and cut out six-inch round circles of various textures and colors, and the teacher and I began a caterpillar that crawled around the wall of the classroom with all the children's names as they completed a story. One of the main issues I observed in public school was discipline, and that was especially true in first grade. One or two kids can disrupt an entire class of 25 or 30, and it can be very time-consuming for teachers. Sadly, recess was sometimes taken away from the entire class because of the actions of one or two or three ... recess, where little wiggly legs could run off energy. Another issue in first grade was busy work. Bundles of work pages, or "staple sheets," as they were called, were given to each child who was expected to work the exercises but also outline each illustration (apple for "a" or whatever) and color it in. To quick learners, it proved frustrating and tedious. By second grade, a very discipline-minded teacher set forth a rule of no talking in the lunch room until kids were finished with their meals. Since I was again spending time with the students, part of the fun was joining them for lunch. They were delighted to sit with me, and I loved to interact with them in a way that was not necessarily in an official manner. What I observed during that time was lots of wasted food. Lots. Kids were not allowed to talk during their free lunch time until all their food was gone, or they would have their names written on the board and be punished. So what else were they to do? They threw away most of their food. Problem solved! Now they could talk. It was wasteful. Elementary kids who sit in a classroom for hours during the day need some time to release all that pent-up energy and social time with their friends. I went to the principal, a fair-minded man I knew well, to discuss my concerns. He was hesitant to interfere with a teacher, something I totally understood, but that didn't help the situation. It was disheartening to see kids basically punished for being kids at what should have been a less-structured portion of their school day. That was when light bulb #1 went off. In second grade, more homework began being assigned. Since I was a stay-at-home mom, we were fortunate to have afternoons to complete homework and not lose our family time in the evenings except for those days when we had sports and other after-school activities. On those nights, we often had homework-dominated evenings. It seemed to me that second grade children who spent all day in a classroom doing school work should not then have to spend more additional hours at home doing school work. When do they play? When do they read? When do they explore the subjects they are interested in pursuing? When do they get to be kids? That was light bulb #2. The county took up a new reading program that year. In the past, students were placed in traditional reading groups according to ability and those who were faster learners moved into new books while the slower learners persevered until they could move forward. Makes sense, right? Apparently not to some pencil-pushing desk jockey who came up with the new program. And this is how it worked. On Monday, all students were given a story to read. The teacher read it in class, and students were then to read it themselves, carrying it home at night to read aloud to their parents as they learned new words. On Tuesday, the same story was read in class. The typically fast-learning students had picked up on it quickly while some of the slower learners struggled with unfamiliar words. Tuesday night, the story was to again be read aloud to parents to continue reenforcing reading skills and word familiarity. On Wednesday, the same story was again read in class. By this time, the fast readers were becoming bored while the slow readers continued to struggle. Wednesday night was a repeat of Monday and Tuesday nights. The same for Thursday and, according to the thinking of before-mentioned pencil pusher, by Friday all the students would fly through the story with the greatest of ease and that would be that. Monday they would start a new story and the cycle would begin all over. The problems were immediately evident. Fast readers quickly became bored with no challenge to keep them interested, and slow readers panicked when they realized they were holding up the entire class. No more intimate reading groups so by Friday everyone's eyes and ears were glued to the poor child who was still struggling with words. It was disappointing. I talked with the teacher who said it was the new program and she had no control over it. I talked with the principal who said it was the new program and he had no control over it. And then other parents began calling. That was light bulb #3. Because I had been a room mom and involved with the students, they thought perhaps I could do something or head up something or form a protest. At about that time, a study came out grading school systems nationwide and, in that study, North Carolina was just about at the bottom of the list. That was the catalyst that caused me to seriously consider educating my son at home, maybe for just a couple of years, I thought. He was bright, he was a fast reader, he loved learning ... but I saw him wilting from the tedious busy work, and from being slowed in one of his favorite subjects, reading. My research convinced me that we should take the plunge although I was scared. I had no college degree much less training as a teacher. I did have, however, a love of learning that I had shared with my kids from the time they were born, and a willingness to do whatever it took to make sure we were successful. And I definitely wanted to raise my own children, not leave them in the care of others, so had no immediate plans to go back to work. What would my parents think? What would my friends think? Would I mess up my kids' education? Would something important and necessary fall through the cracks? I would become one of those parents that others whispered about at school events. I would lose the backing of all that knowledge and all those resources of the public school system. I had received an excellent education in Chesterfield County, Virginia, schools. How could I deny that same foundation to my children? As I dug more into the subject, our son was brought into the conversation to see what he thought about it. He was fine with staying home to learn; in fact, he seemed downright happy. I assured him he would not lose touch with his public school friends, a promise I kept even after we moved back home to Virginia when he was 12. I looked forward to "homework" being "work done at home," something that could be completed during the day while Dad was at work so our evenings would once again become family time. I had decided to try the Calvert curriculum and so ordered it, and applied to the state of North Carolina for permission to educate my children at home. We had to give our school a name so we combined our love of the nearby mountains with the meadows on our farm and became Mountain Meadow School. When the curricula arrived and armed with my state-permission postcard, I made an appointment with the school principal. I carried the curricula so he could see that I was serious about my son's education and that it was not a flighty decision. He smiled as I pulled out book after book, explaining that reading and math would seamlessly continue from the point where they were in his class, and shared with him the work books and manipulatives to help in the hands-on part of education that I felt was extremely important to young learners. And then he said something that meant a great deal to me. "I am not surprised that you researched it so well," he said. "From my time working with you, I would expect nothing less. But I'm sad that your son will be leaving us because we seem to be losing our brightest students." We chatted a bit more, and then I stood up and extended my hand across his desk as we shook hands and said good-bye. Picking up my L.L. Bean bag full of school books and hoisting my purse on my shoulder, we said good-bye to office staff whom I had worked with for the two-and-a-half years while my son had been a student and I had been a volunteer/room mom. Then we walked out the front door into that October morning and climbed into our minivan never to return to public lower education again. Of course, I didn't realize that at the time ... I was still thinking we were on the two-year plan. Along with my seven-year-old son and three-year-old daughter, we drove to a nearby restaurant and celebrated our cutting the umbilical cord to public education with breakfast and a discussion of the adventures we would have. Then we drove home to begin this new journey that would end up lasting 16 years as we traveled where there were few paths and blazed new trails. Though there would be bumps along the way, it turned out to be a journey we never regretted. Lynn Mitchell educated her children at home for 16 years and was part of leadership in North Carolina's Iredell County Home Educators (ICHE) and Virginia's Parent Educators of Augusta County Homes (PEACH). Her son graduated from Harrisonburg's James Madison University (JMU) in 2007 with a BS in Computer Science and a minor in Creative Writing. Her daughter graduated from Staunton's Mary Baldwin College in 2012 with a BS in Sustainable Business and Marketing. 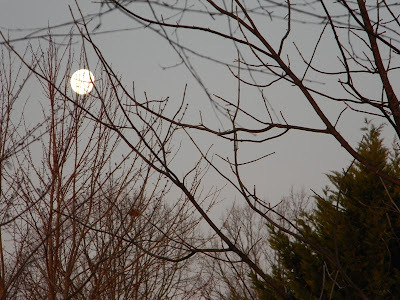 Lynn and her husband live in Augusta County located in the beautiful Shenandoah Valley of Virginia. 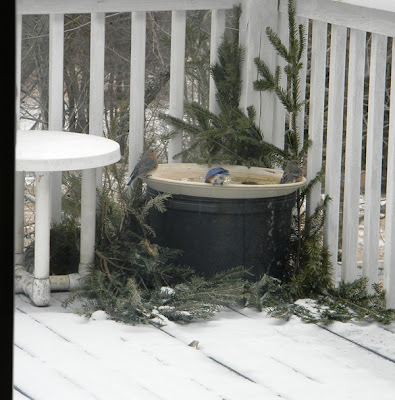 The freezerless bird bath is on the deck so we can enjoy visits from a variety of birds during the winter months. 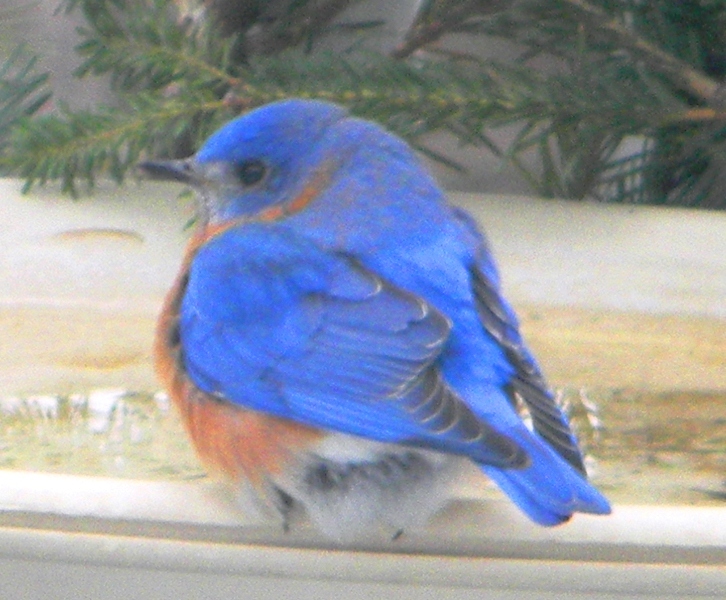 Today a quartet of bluebirds swooped in so I grabbed my camera because the bright blue was so beautiful against the snowy backdrop. Looking out the window after Wednesday night's surprise snowfall. Baby, it's cold outside. Our corner of Augusta County has not been above freezing most of the week, even dropping down to 6 degrees one night. Now that's cold. 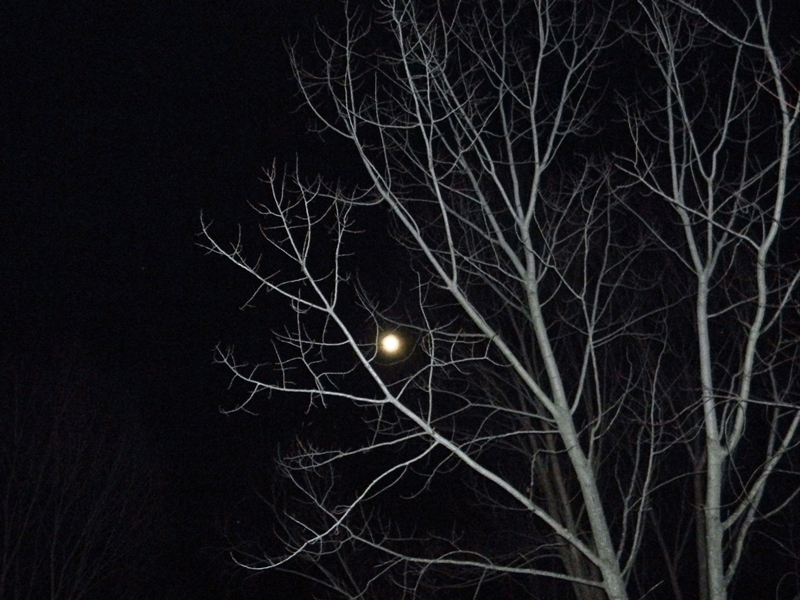 Last night it was 8 degrees before beginning its upward trek on the thermometer for the day. The high today: 22 degrees. By 12:30, it began to snow. 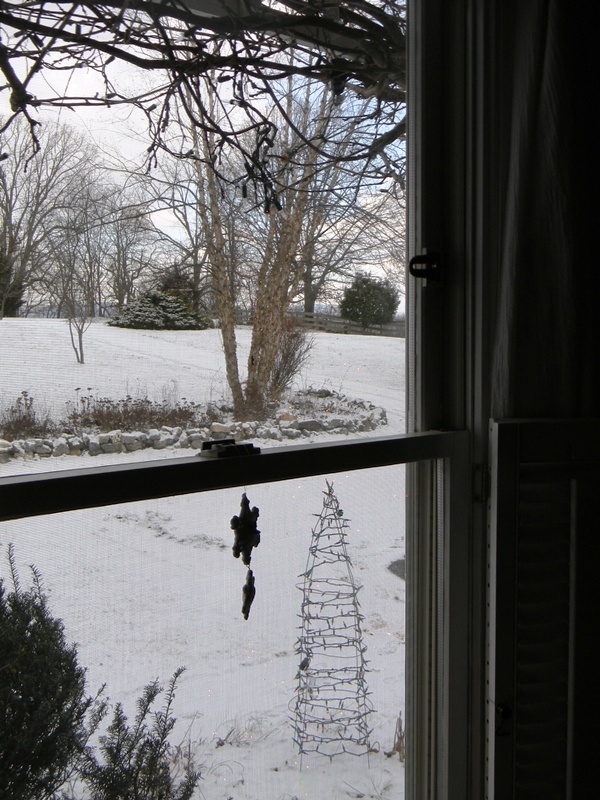 And it snowed and snowed and snowed ... tiny little fine flakes that blew horizonally across the yard and sifted down into the grass, at times almost whiting out the view between the house and the woods on the ridge behind us. Occasionally it would let up, and then the next time I looked out the window, it would be blowing sideways in heavy gale-like style once again. Snowy scene across the back yard to the ridge behind the house. The snow, flying horizontally, was beautiful as it came down. The temperature dropped into the teens when the snow began and that's where it still sits as the wood stove blasts out heat to try and keep the cold at bay. 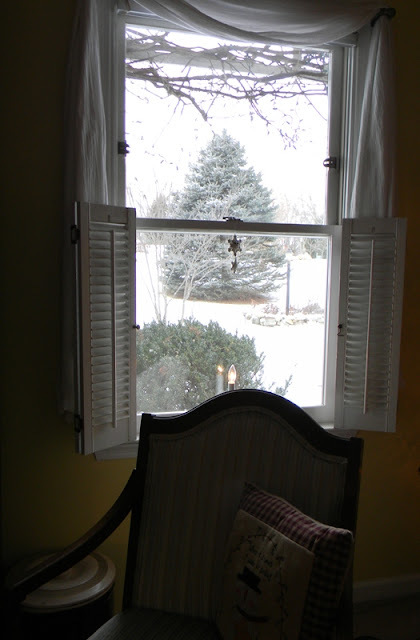 We had planned to gather with homeschool friends for dinner tonight but it was postponed when the snow continued, probably a good thing considering that all surfaces quickly filled in around what was left of Wednesday night's snow. On Friday the bluebirds were happy to visit the freezerless bird bath that sits on our deck and offers entertainment for us from the many birds who visit at this time of year. Everything else has been frozen over all week so it has been a busy place. It snowed on and off all afternoon. Anyone who knows me knows how much I love snow. Years ago while still in Richmond, when I lived next door to my mother-in-law, the first flake would bring a phone call form her and she would always say, "Stick your head out the door and I'll throw a snowball at you!" Friends over the years have graced me with snowmen of every shape and form. Snow, snowmen, sledding, ice skating, skiing -- I should have been from a snowier place. Trivia: Did you hear that, in Vienna, Austria, they have a two-acre ice skating rink? Two acres! I cannot even imagine having that much space to spirl and twirl and glide, not that I do it anymore. I value my in-tact bones too much to ever get back on ice skates. And so we are snugly secure in our corner of Augusta County, feet propped up with the fleece throw that Mom made for me for Christmas -- thanks, Mom! -- thrown across my legs, and the laptop propped in my lap as I correspond with SWAC Daughter in Charlotte where they have been dealing with ice and freezing rain most of the day. I enjoy today's technology -- Facebook, texting, email. Years ago when I first moved to North Carolina, pregnant with my first child and away from family and friends for the first time ever, there was no technology to keep in touch with those I had left behind in Richmond. Long distance calling was very expensive and so it was a rare occurrence. I turned to letter writing. My step-dad joked that I wrote epistles, long descriptive pages of my days alone on the farm with a new baby, perhaps a hint of what was to come when technology caught up and I would eventually end up with a blog. When we bought an electric typewriter -- the very latest model that was auto-correcting -- it made my correspondence easier and gave my cramped hand a break. That was followed by our very first computer, bought in Hickory, and carried home, carefully unpacked, and set up on my desk. It was a glorified word processor because I used it in my job as newsletter editor for the local homeschool group. We had a dial-up connection which, again, entailed long distance calling, so I didn't go online very often. I could have sent emails but not many people had computers or emails at that time. So I used the word processor to continue to type letters. And I continued to be horribly homesick and alone on a farm in the middle of rural North Carolina while SWAC Husband drove to work in Charlotte. Now with SWAC Daughter back in the place that we left many years ago to come back home to Virginia, communication is much easier and the distance is not so oppressive. When the need for personal interaction becomes overwhelming, one of us gets into our car and starts the four-and-a-half-hour drive to see the other. Even now as I write, I remember how it was before there was a blogosphere where millions now find themselves with a voice on a myriad of subjects. I found my way to the blogosphere in 2006. Over the years, I have combined my writing with photographing the beautiful Shenandoah Valley and beyond, often posting photos of the roads I have traveled and the historical sites I have visited as seen through my window on the world. With snow in the forecast and expected to begin any time, and the temperature sitting at 21 degrees at noon, some local school systems have decided to release students at 1:00. Grace Christian, Staunton City Public, Waynesboro City Public, and Augusta County Public Schools will all close at 1:00 on Friday. 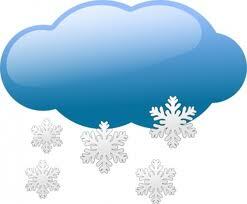 Check NBC-29 for more school closings and weather updates. "I carried a concealed weapon. I made the determination that if somebody was going to try to take me out, I was going to take them with me." Less than twenty years ago I was the target of a terrorist group. It was the New World Liberation Front. They blew up power stations and put a bomb at my home when my husband was dying of cancer. And the bomb didn't detonate. [...] I was very lucky. But, I thought of what might have happened. Later the same group shot out all the windows of my home. [...] And, I know the sense of helplessness that people feel. I know the urge to arm yourself because that's what I did. I was trained in firearms. I'd walk to the hospital when my husband was sick. I carried a concealed weapon. I made the determination that if somebody was going to try to take me out, I was going to take them with me." But today, Dianne Feinstein doesn't want law abiding citizens to have that ability. Because, just like after 9/11, law abiding Americans must be punished, either by Obama's thuggish TSA, or by liberals who think you cannot be trusted to own and use a firearm to protect yourself. And as has been said, when someone breaks into your home, you only have seconds to act, while it will take a few minutes for the police to arrive. Just two days after the Dec. 14 shooting that killed 20 children and six adults at Sandy Hook Elementary, Feinstein said on NBC’s Meet the Press that she would introduce a bill to "ban the sale, the transfer, the transportation and the possession" of certain semi-automatic weapons, as well as of “big clips, drums or strips of more than 10 bullets.” Feinstein was a leading proponent of the so-called “assault weapons ban” that Congress and then-President Clinton enacted in 1994, but which expired in 2004. Read more from David Frum about Feinstein's gun control proposals. Tomorrow -- Friday, January 25, and Monday, January 28 -- Green Valley will be open from 10 a.m. until 6 p.m. for a special sale with 25% off their already low prices. The extra day was added because of tomorrow's forecast for inclement weather. 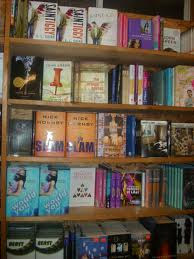 The Green Valley Book Fair is a discount book outlet store featuring over 500,000 new books at incredible bargain prices. They are open six times a year for two-week runs. This morning the House Bill 1442 (the "Tebow Bill") passed out of subcommittee with a 7-1 vote! I was pleased for so many people to come through the snow to show their support at 7:30 am. Among those supporters was Sydney Bowman -- a homeschooler who told the committee about her hope is to one day wrestle in high school. The next step for the bill is the full Education Committee. The Tebow Bill will be before this committee on Monday, January 28th at 9 am in House Room C in the General Assembly Building in Richmond. It is crucial that we have a large group come to show support! Click here for information about directions and parking. Supporters can also contact their representatives directly, here. The biggest myth out there is that homeschool students are not socialized. Check out these upcoming field trips sponsored by Home Educators Association of Virginia. Discover the amazing underwater world at the Virginia Aquarium. Travel on an aquatic journey from the shore to the depths of the Atlantic Ocean and experience animal feedings, training sessions, and "hands-on" programs. You'll see thousands of animals--representing more than 300 species--displayed in entertaining and educational exhibits. Two museums--one low price. The Virginia Sports Hall of Fame & Museum and the Children's Museum of Virginia have teamed up to host a homeschool day that is perfect for all ages. Spend the day at one museum, or visit them both to enjoy a fun-packed day for the whole family! Explore. Discover. Be Inspired. For many, Swan Lake defines the very art of ballet: the lush Tchaikovsky score, the moonlit images of impossible grace, the story of mystery and transformation. There will be just four performances of this time-honored classic. Use the HEAV code to get discount prices on tickets. Jump right into history as park educators deliver informative programs using fun, participatory learning techniques. In programs specifically designed for children in grades 3 through 12, students will participate in a military drill, study how free and enslaved Virginia families lived 150 years ago, and come face-to-face with the experiences of Civil War soldiers! Visit the newest exhibit, Our Mighty Seaport; enjoy the aquariums, weather exhibits, touch tanks, and Navy exhibits; and watch a movie in the large-screen theater! Educational programming--included in your discount admission ticket--is also offered throughout the day. And don't forget to visit the last--and largest--Navy battleship, the U.S.S. Wisconsin! Join the Confederate Army and learn to drill, try 19th-century games and crafts, watch the Emmy-award-winning film Field of Lost Shoes, and peruse displays on wildlife and protecting our waterways. 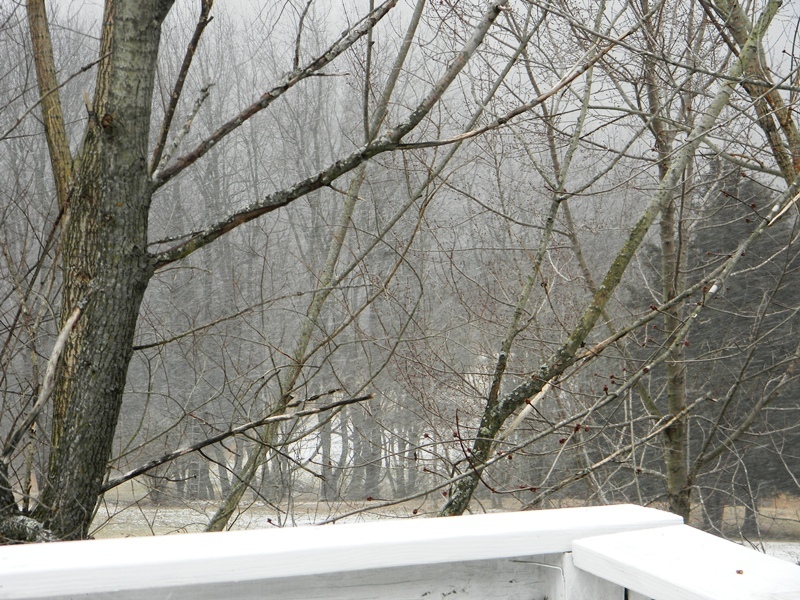 Enjoy the spectacular views of the Shenandoah River from the overlooks! Take a progressive tour of various sites and experience a wide variety of history in Isle of Wight County! Learn about the early history of Native Americans and colonial settlements, visit a Civil War-era fort, enjoy historic Fort Boykin and more at this free event! As the largest estuary in the country, the Chesapeake Bay has played a vital role in the nation's history, economy, and environment. Explore the museum from an environmental perspective while participating in scheduled classes and ongoing activities. Students will enjoy scavenger hunts, crafts, and interactive programs!